We are a family run company born from experience, and a passion for top customer service! 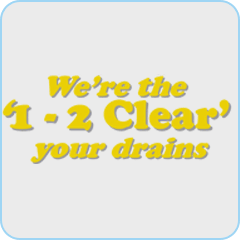 Serving Yorkshire, North Lincolnshire and beyond, 1-2 Clear are the leading draining experts in the region. With over 30 years of experience in drain clearance, drain repairs, new drain installations and more, our team are adept in all things drainage. We have worked with both organisations and individuals, from housing associations, local churches, pubs, hotels and restaurants, and sanctuary housing to homeowners and landlords. So, no matter what your drainage needs, however big or small the task, 1-2 Clear is here to help. After more than 3 decades in the industry, we have developed an excellent reputation, with happy clients coming back to us again and again. It’s our mission to provide an honest, affordable drainage service, always pushing for outstanding levels of customer satisfaction. Your guys managed to do everything without having to go in to the house as we thought and did a really great job. I appreciated your call later in the evening to let me know how it had gone. Really good service!